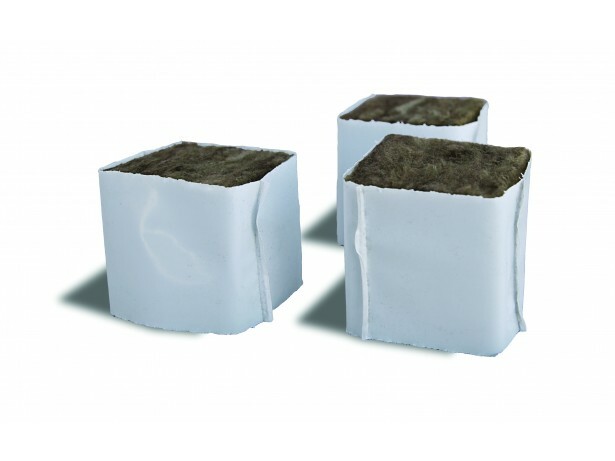 The Urbanscape® Pro Cube 40 can be used as a starter for growing plants from seeds or to root cuttings. When the root system in the cube has developed, transfer the cube to a suitable Urbanscape® Pro Slab 100 or to a larger cube such as Urbanscape® Pro Block 150/200. This system enables the optimum development of the root system and allows the plant to develop to its technological maturity. Why Urbanscape® Pro growing media? The new generation of rock mineral wool growing media is made from volcanic rock with a bio-based formula binder manufactured without added formaldehyde. *utrients required for growth should be added separately to the growing medium. Starter: Can be used as a starter to begin growing from seeds and rooting from cuttings. Can be afterwards combined with Urbanscape Pro Block 150 / Pro Block 200 or Slab 100 (final phase).